President Xi Jinping waves upon his arrival at Hamburg Airport for the G20 economic summit in Hamburg, Germany, July 6, 2017. The announcement on Sunday that China will amend its state constitution to remove the current two-term limit for the presidency has seemingly cleared the way for just that. Under the old constitutional provisions, Xi would have been required to step aside as president in early 2023, when his second five-year term would come to an end. As others have pointed out, Xi would not necessarily have had to cede power, though. There are no term limits for one of the other key positions he occupies: as secretary of the Communist Party, the office in which true power resides in China. In that respect, the position of the president (head of state) is just being brought into line with that of the ruling Party. As recently as the early 1990s, different figures held the office of president and Party secretary. The announcement is enormously significant nonetheless. Xi’s current term as Party secretary lasts until late 2022, and there are no formal impediments to him staying on for longer—other than the evolving institutional norms which aligned the Chinese Communist Party (C.C.P.) job with that of president, and thus limited it to two terms. Hu Jintao, Xi’s predecessor, for example, served two terms in both positions. In Xi’s case, however, Chinese politics may be going back even further, to the Mao era of strongman rule. Xi, of course, is not Mao, and Mao’s China is not today’s China, but that in many respects makes his removal of any restraints on staying in office all the more remarkable. However you read it, his centralization of power does hark back to darker times in China. The early propaganda takes coming out of China suggested that the change was needed for stability. In the words of a scholar quoted in the Global Times, the Party-controlled populist tabloid, Beijing needs a strong, stable leadership in the “crucial period” between 2020 and 2035, by which time China will be a modern, prosperous state. Far from providing stability, however, Xi’s decision to remove formal impediments to him staying in power may do the opposite. One of the C.C.P.’s great strengths in recent decades has been to build a system of orderly succession at the top, something that often eluded and defenestrated authoritarian regimes around the world. Jiang Zemin handed over power to Hu Jintao on a fixed timetable; Hu in turn did the same with Xi. Late October, at the once-in-five-years Party Congress, Xi indicated the direction he was heading in by declining to appoint a clear successor who could be groomed to take over the position of Party secretary in late 2022. The announcement of Sunday reinforces that decision. The timing of the Sunday missive is telling as well. Coming at the beginning of a second term, it both cements for the moment Xi’s overwhelmingly authority over the Party and the government, and also sends a warning to his legion of enemies at the top of the Party who have been hit by the anti-corruption campaign that he is not going anywhere. It also dovetails with the broader theme of Xi’s period in office—of the Party erasing distinctions between it and the state. In this case, the terms for the state presidency have been brought into alignment with the Party secretary’s job. Xi’s ability to push this decision through in the short-term is undoubtedly a display of his grip on all levers of power. But the very fact that he feels the need to do so could easily be a sign of something else—that he is possessed by an urgency to gather even more power than he already has to keep his enemies at bay. One thing is certain: Many Chinese scholars and officials who have worked hard to advance political and legal reforms in China will be furious that Xi is throwing their efforts aside. These scholars and officials are not advocating a Western-style democracy. But they have toiled in the system, often for decades, to build a court system which gives legal redress to citizens who want to sue the government and protect their rights. They have also worked for a more open policymaking process that doesn’t depend on a single leader at the top. I will admit that this Constitutional amendment caught me by surprise. Most scholars and policy experts, myself included, thought that, even if Xi did manage to stay in power for more than two terms, he would do so by keeping the positions of Party Secretary and Chairman of the Central Military Commission, while some trusted ally would assume the post of President. The reason for this is that the presidency is, according to conventional wisdom, the least important of the three positions that Xi currently holds, but also the one that is governed by the “hardest” and most formal rules—i.e., the Constitution. Were Xi to give up the presidency while keeping the other two, he would continue to be the unquestioned leader of the Party-state, while avoiding a politically and socially costly fight over constitutional rules. A constitutional amendment, in comparison, would be a luxury good, and just wouldn’t seem to be worth it. We were all wrong, of course, but the reasons for our mistake are perhaps more complicated than what one would intuitively think. The obvious explanation is that we underestimated Xi’s power—and, in the same vein, overestimated the strength of factional checks. In other words, he now has so much power that he can actually afford to “waste” some of it on this kind of luxury good, cost-benefit analyses notwithstanding. That may well be true, but there are other, more intellectually intriguing, interpretations possible: we may, for example, have dramatically underestimated the importance of the Constitution—and perhaps of law in general—in Chinese high politics. In other words, the reason for the amendment is not so much that Xi can afford a luxury good, but that it is not a luxury good at all. Instead, should Xi stay on for a third term without removing the two-term presidency rule, he would be taking on substantial political risks that outsiders fail to appreciate. The simplest of these could be that the office of the presidency might empower whoever occupies it to challenge Xi’s authority, even if that person was initially a trusted ally. This would necessarily assume that the office holds much greater sociopolitical significance than outsiders conventionally assign to it. But where does this significance come from? This is where the analysis gets deeper and more interesting: One could make a reasonably strong argument that Xi has consistently displayed a stronger appreciation of the legitimating power of legal institutions than his predecessors did. Somewhat paradoxically, he is China’s most autocratic ruler in over two decades, but has also empowered and formalized law enforcement institutions, especially the judiciary, to near-unprecedented levels. This suggests, however tentatively, that he considers the law an important source of legitimacy and status, one that can be wielded against other political factions, interest groups, or bureaucratic systems. This makes sense if we see Xi as a disrupter and challenger of a deeply embedded political status quo, in which case he would need to tap sources of sociopolitical capital that were previously overlooked and underutilized—a description that applies perfectly to the legal system. Now, none of this would make any sense if legal institutions were not vested with—or, at least, could potentially be vested with—some sort of deep and powerful sociopolitical legitimacy by the general population, but perhaps the Chinese population is, both as a matter of current sentiment and as a matter of historical tradition, more legalist than most outside observers tend to assume. Indeed, this is something that a number of scholars, myself included, have previously argued. Xi, as many have noted, is a populist of sorts, but he has also been surprisingly legalist. Perhaps these two things have some sort of underappreciated sociopolitical synergy. Pursuing this line of thought, Xi’s reason for pushing for a constitutional amendment may very well be that to do otherwise would be to risk losing one of his major sources of political capital, indeed one that is much more critical than would seem obvious to outsiders. He is someone who has wrenched power from other factions and branches of government through massive law enforcement campaigns and the empowerment of relevant institutions, and who regularly emphasizes the need to maintain control over constitutional interpretation and enforcement. Some might interpret this latter tendency as mere autocratic insistence on the primacy of the Party over the Constitution, but that would nonetheless imply that he understands the Constitution as something that must be controlled—and, therefore, something that holds major sociopolitical significance. Someone who has pursued these strategies may well be particularly wary of creating political tension between a constitutionally empowered President and the Party Secretary, and would therefore strongly prefer to occupy both positions. In that sense, the constitutional amendment is a power play, but it is a power play made under the assumption that law does matter. It is the move of someone who is trying to consolidate power, rather than merely flaunt or announce it, and should therefore be interpreted, at least to some extent, as a symptom of self-perceived vulnerability. A longer version of this post is available here. The key question arising from the constitutional revision is: Why does Xi want additional power, and why are his colleagues willing to give it to him? Does the decision derive from China’s strength, or its fragility? The most likely answer is that the Chinese Communist Party (C.C.P.) believes its vulnerabilities can only be addressed by concentrating authority in the hands of a strongman over the long-term. The C.C.P. wants to signal its confidence, competence, and stability to Party members and the Chinese people because the threat of instability is high. The threat emerges from unresolved tensions between China’s modern, informed, globalized society and its pre-modern, secretive, parochial political system. The C.C.P. is attempting to use state power, in the form of lifelong tenure for Xi, to pave over the conflict. It hopes to overcome complexity through the brute application of political force. Domestically, China will become more repressive. Academics, think tank experts, writers, and artists will not make public statements at odds with, or even moderately critical of, Xi-ist doctrine. The silence of intellectuals and local officials will mean that the Communist Party cannot receive timely, accurate policy feedback from China’s many geographic sub-regions and social and economic constituencies. More Chinese who have the ability to emigrate will do so, but the majority will support Xi. His cult of personality will grow. Because of this bandwagoning, the encouragement of Party-media, and diminished checks on his actions, Xi will be emboldened domestically and internationally. As China grows more Xi-ist, it will also become more closed. The activities of American corporations, NGOs, and educational institutions will be even more proscribed. Xi’s elevation does not alter the strategic challenge China poses to the United States, but it may make engagement with China more difficult. American politicians and analysts will use phrases like “Red Emperor,” “China’s Dictator for Life,” “Tyrant,” etc., more readily, placing additional stress on the relationship. The ideological factor in U.S.-China relations will be more pronounced. It is therefore more important than usual for American policymakers to resist the temptation to caricature Xi and the nation he leads (see insulting monikers, above), to judge China dispassionately, and to remain open to opportunities to engage with China in an honorable, informed fashion. On the positive side, China’s decision to abandon term limits could be a boon to American soft power. The United States is not alone in its concern over China’s drive toward more total Party control and its ability to legitimize its practices globally through economic pressure. The U.S. and other democratic nations should use this latest, clearest Chinese rejection of democracy to highlight the importance of transparency, representative governance, and liberal institutions worldwide. Without such a counterexample, a growing number of countries will credit the purported confidence and competence of what is, undeniably now, Xi’s China. 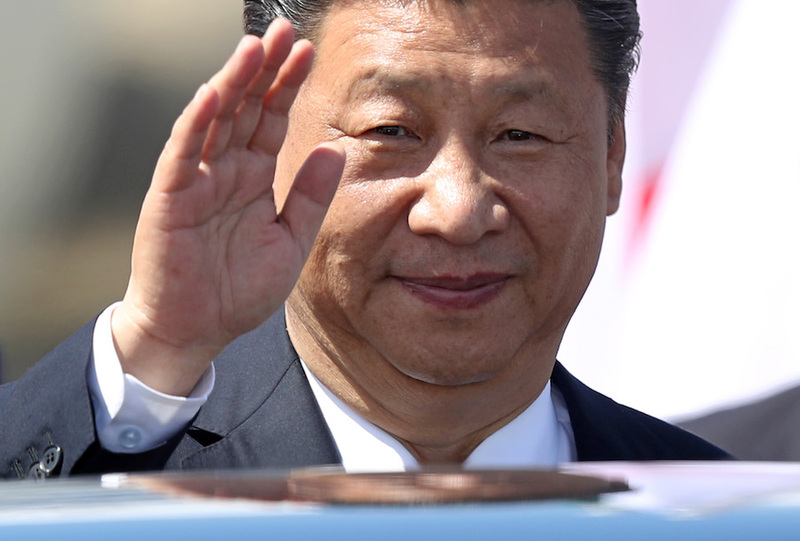 By pushing to change the People’s Republic of China’s (P.R.C.’s) Constitution to abolish the two-term limit for the president, Xi Jinping has revealed unambiguously his ambition to rule China until he dies or is disabled by age. When the 19th Chinese Communist Party (C.C.P.) Congress in October 2017 broke precedent by failing to name a successor-in-training, some people still believed that Xi had a successor in mind but didn’t want to dilute his own authority by identifying him or elevating him into the Standing Committee until later in his second term. There is no longer any doubt about Xi’s intentions. The revision of the state constitution is a shockingly bold move to return China to Mao-style personalistic dictatorial rule. The centerpiece of Deng’s effort to prevent dictatorship and regularize political life was the practice of peaceful leadership succession, something that no other communist country had ever achieved. Peaceful and regular premortem leadership succession was a remarkable political achievement and the most important source of what Andrew Nathan has called China’s “authoritarian resilience.” Jiang Zemin and Hu Jintao helped establish the norm by retiring after two terms in office. Sadly, the post-Mao institutionalization of leadership politics did not proceed far or deeply enough to prevent a leader as ambitious as Xi from restoring personalistic dictatorial rule. Certain norms and precedents were followed, but this minimal institutionalization failed to stop Xi from grasping power. China in the 21st century is a vibrant modern economy and society open to the world, with a large and well-educated urban middle class. Many people inside and outside the country expected the political system to follow the historical example of other authoritarian regimes by gradually institutionalizing governance to make it more accountable, responsive, and law-bound. Until 2012, that is essentially what happened. But under Xi Jinping, China is making a U-turn back to personalistic rule. Susan Shirk has written an article entitled “The Return to Personalistic Rule” that will appear in the forthcoming issue of the Journal of Democracy. The door is now institutionally open for Xi to stay in office for as long as he likes, if he is not deposed, just like Vladimir Putin and other authoritarian potentates. It will also give him the kind of unalloyed power at home that rivals even Mao Zedong’s; give the global trend towards authoritarianism a big boost; and give China’s ambitious push-out abroad more durability and chances of success. By enabling planners to project China’s ambitions abroad with more long-term certainty and continuity, the large-scale, global projects it has already launched—such as the Asian Infrastructure Investment Bank, the Belt and Road Initiative, the occupation of the South China Sea, and even its undeclared intention to become hegemon of the Asia Pacific—now suddenly gain a new presumption of being successfully carried out. While this announcement is not a good sign for the advancement of liberal democracy in the world, it will help Xi and China fill the global leadership vacuum. And, God knows, with Trump degrading American leadership and with Europe “a dish of loose sand,” (to borrow a Sun Yat-sen metaphor for early 20th-century China), the world now cries out for vision and good leadership in such critical areas as climate change, nuclear proliferation, pandemics, the development of better global infrastructure, and in counter-terrorism efforts. A strong China will doubtless want to be a contender for such a leadership role, so Xi’s enthronement as its new Napoleon could have some salutary consequences, as did the reign of the French Emperor, even as he led France in catastrophic wars. But to play a global role well, Xi and China will have to be far more transparent, democratic, inclusive, and willing to play by global rules. Leadership by bullying alone has not had a very enduring history. Alas, here Xi has yet to demonstrate the character traits needed to lead globally in an effective way. After all, to make the rest of the world feel comfortable in following him into a global reform, China needs first to reform itself. The Chinese Communist Party is, above all, a strategic body. But strategy always involves some elements of taking gambles—large choices where you decide to head in one direction and exclude going in another. Even the Party cannot travel in two different directions at the same time. Party Secretaries have a number of functions—to be storytellers, symbolic figures, and chief deciders over these strategic directions. They are also gamblers—following their instincts and putting all their political capital on large decisions. For Xi Jinping’s predecessor, Hu Jintao, the gamble was simply to go all out for economic growth no matter what. For a decade, the plan worked. China quadrupled its GDP, and rose to be the world’s second-largest economy. With double-digit growth most years, even over the time of the great financial crisis, who was going to complain? With falling growth, and a bunch of collateral issues around the Party being more a commercial than a political entity by the end of this era, the Xi leadership shows a shift to a new gamble. No more relentless accrual of raw economic growth. Now the game is to stack up political capital. Leaders in China are in some sense also always hoarders. And since 2012, Xi has been the chief hoarder of titles and domestic accolades. The extension of the state presidency slated to be decided at the National People’s Congress in March is a continuation of this. For all the country’s social, cultural, and historic diversity, China is often a complex place run on a simple storyline. Most other similarly sized places have a myriad of political forces and leadership groups vying for power. China just has one. And within the monopolizing Communist Party there is currently one dominant leader. From March, he is about to become even more dominant. How can we interpret this? Basically, as confirmation that the dice has been thrown, and the onus is now completely on elite leadership as the core political tool to steer this vast ship towards its historic destiny. 2021 marks the first centenary goal, the achievement of modernity on China’s terms. It’s a moment of vast symbolic importance. It marks the end of the era of weakness, victimization, and of accepting things on the terms of others. China’s renaissance will have been completed—or at least the initial stage. Getting to this point cannot be jeopardized. Xi and his colleagues know they have public support here. What Chinese person in their right might would ever want to see their country returned to the vulnerability of the past. With this dynamic vision for the future, Xi can ask for the indulgence of his fellow citizens in granting him whatever status his elite leadership needs. This is important to convey purposefulness, stability, and certainty. There is of course the delicate question of whether stacking so much on one particularly strategic move will actually work out. If things go according to plan, and the country continues to move in a positive direction, with domestic issues managed, and sometimes solved, then the likely answer to this question is yes. But if there is disruption and turbulence, the great gambit that Xi has made to place so much onus on elite leadership may well prove a foolhardy one. As always in Chinese politics, the stakes are always high—and at this particular moment they have never been higher. Xi has just made one thing clear though. Domestically, no matter what happens in the next few years, in terms of elite leaders, there will be no runners-up! When Deng Xiaoping came to power beginning with the Third Plenum in December 1978, he had enormous authority because of his previous positions and his experience in high places. He had been a member of the Communist Party from its early days in the 1920s, and worked closely with Mao Zedong and Zhou Enlai. He had five years experience in France and one year in the Soviet Union. He had been a military leader for 12 years and was the Political Commissar for the entire front command at the huge and decisive Huai Hai Campaign. He had done a great job leading the Southwest Bureau with a population of approximately 100 million for three years, from 1949 to 1952, just after the Communists Came to power. He had been general secretary of the Party for a decade, and from 1973 to 1976, after Zhou Enlai became ill with cancer, he had been, with the advice and help of Zhou Enlai, the key person meeting foreign visitors. Thus after he took charge in 1978, he could be the deputy prime minister and still have the authority to lead the Party, the government, and the military. Deng wanted to establish a system for stable rule that would last for a long time. He believed that holding a Party Congress every five years and a Plenum at least once a year would provide a stable system of rule. He also believed that terms of office for leadership positions would help provide stability. I am not a specialist on Xi Jinping, but I believe that when he came to power, he did not have the natural authority that came from such a long history in high places as Deng Xiaoping had. He therefore needed to set up a structure such as being head of various small groups in order to rule effectively. By the time he came to power, corruption had become a serious problem. To attack corruption in high places means that the family and friends of those attacked or who worry about the possibility of being attacked may create difficulties for Xi Jinping. Thus Xi Jinping has the difficult job of trying to prevent the families of those who were criticized or might be criticized from resisting or gaining power. I imagine that such concerns must be behind Xi Jinping’s efforts to strengthen his position of authority at the present and in the future. I do believe that following regular procedures for holding meetings and having terms for offices is likely to be a more stable system for the long run than having all power concentrated in one person’s hands. If power is highly concentrated in one person’s hands over the long term, then any time serious problems arise, as for example from the slowdown of the economy which is likely in the next few years, then the one person will have to accept responsibility for everything. Therefore, I think it would be good for China and for Xi personally if Xi could find some way to preserve a system that provides regular procedures for making decisions and selecting new officials. The extension of Xi Jinping’s tenure is not the only significant change that intensifies Party control over Chinese society and its governance. At the same time, the creation of the Supervision Commissions will permit manipulation of long-established formal legal institutions not only to address corruption but also to strengthen Xi’s power, transferring some procurators from the formal legal system. Recalling Wang Qishan from retirement may also signal a desire to strengthen more than just the struggle with corruption. Carl Minzner, author of End of an Era: How China’s Authoritarian Revival is Undermining Its Rise, has observed that the campaign now aims to overcome disloyalty, sloth, or inaction among government employees, and even to punish professors who voice improper opinions in class. The recent seizure of Anbang Insurance, as well as investigations of other conglomerates that are being questioned about their tactics in financing takeovers, reflects high-level anxiety over the exercise of power by non-state enterprises. Xi’s willingness to reshape some existing institutions and restrict the activities of others provokes foreign observers to seek appropriate theories that can be useful in understanding current developments. David Shambaugh has distinguished between “hard authoritarianism” and “soft authoritarianism,” Minzner suggests “populist nationalism,” and Susan Shirk now suggests ”personalistic dictatorial rule,” which also resonates powerfully with recent developments. The reform era saw struggles to build or rebuild new institutions, such as the legal system, which still remains an ongoing product of those efforts even if it is often tampered with, corrupted, and downright ignored. Now the Party, under Xi’s control, manipulates power behind a torrent of formulaic incantations and slogans that obscure both past legal progress and insight into China’s governance. As I wrote before the announcement of the abolishment of term limits, although Xi Jinping has transferred authority from state, market, and society to the Party over the last five years, these changes do not reveal his final goal of either personalist rule or strengthening Party rule. And this is still a hard question to answer. Nicholas Kristof argues that abolishing term limits is an attempt to strengthen the Party to undertake stalled economic reforms, but most others argue that Xi is consolidating power as the new Mao (or a new emperor). In thinking through the logic of these arguments, it seems that this would strengthen the power of the presidency (and vice-presidency), but given that this role is usually held simultaneously with the general secretary position, it does not seem like it is a move to strengthen the state in order to undertake reform. Instead the combined Party-state apparatus is being consolidated and strengthened, rather than strengthening both parts separately. This aligns with Xi’s creation of Party leading groups to oversee state and military functions, and makes sense with how he views both Gorbechev’s and Hu’s governance failures—basically that they allowed the state to strengthen at the expense of the Party, straining the linkage between the two and allowing for the existence of a state without a Party. It is almost impossible to know the true intention underlying this change until we see Xi start enacting reforms in SOEs or other state sectors, or to see him do the things that usually indicate a desire to consolidate personal rule. Learning from other situations where leaders have tried to transition dominant or single-parties into personalist rule, we would want to look for the following: attempts to install family members or close personal associates in positions to take over power, coup-proofing attempts against the military or other elites, changing rules that inhibit the rulers’ power, crackdowns against other sources of political power such as religion, universities, media, civil society, and attempts to create an authoritarian bargain with other elites, like buying them off with power, policy, or money. I am not sure how other analysts would assess this, but Xi only seems to be changing the rules and cracking down on other sources of power (including other elites via the anti-corruption campaign), and not doing the other things that we might expect if he was trying to establish personalist rule in China. If that is a good signal of his intentions, he might actually be trying to strengthen the position, not himself as a person, and will still step down at some point in the future peacefully once he has “fixed” China. However, regardless of his intentions, it seems that whatever good Xi might do for stalled reform in China, challenging the rules that allow for peaceful leadership transition and balance elite ambition will only lead to future political plotting, violence, and uncertainty, none of which will ultimately be good for China in the future. So even if Xi is not trying to become the next emperor, he might pave the way to just that outcome in the future. In overturning one of the key elements in Deng Xiaoping’s attempted institutionalization of the Chinese governing system, Xi Jinping has pushed forward the melding of the Party and the state which has run through his overall policy approach since he ascended to the top of the domestic power structure at the end of 2012. His global ambitions have given the presidency a new importance; he could hardly have made his globe-trotting round of state visits as head of the Party or turned up at a G7 summit as General Secretary of the Chinese Communist Party (C.C.P.) but he also needed the post to have real resonance. Though the presidency lacks domestic clout and ranks third in the quiver of top positions held by Xi, the two-term limit set down in 1982 made it an obvious target for a leader who clearly wants to escape from organizational and constitutional constraints, and can now apply the same open-ended criteria to his more important jobs as the head of the Party and the military. The change about to be approved by the National People’s Congress thus forms part of a wider process that has been going on over the past five years: the reversal of the separation of Party and state advocated by Deng. The steady incursion of C.C.P. bodies into domains previously reserved for the government, as well as the probable appointment of Party figures to senior State positions and the creation of a wide-ranging Supervisory Commission, are all hallmarks of Xi’s ambitions to meld the organs that run the People’s Republic into a single unity under his central control with which he can identified himself as the core leader of the nation. Whereas Mao asserted his all-embracing command as a result of the long struggle for power, Xi has to construct his own edifice. Some observers suspect that the announcement of the constitutional change so soon after the 19th Party Congress reflects concern on Xi’s part about opposition. To which one can only respond, as with past assertions that his position is weaker than it appears, by noting, first, that he is bound to have aroused considerable resentment since 2012 through the anti-corruption campaign and other measures but, second, that evidence of organized and coherent opposition is lacking. It seems more likely that the timing was an attempt to build on the momentum of the Congress and to establish new ground rules as early as possible in the second term—in fact, 10 days ahead of the expiry of his first five years as president. This was, above all, a political signal issued by a leader intent on consolidating his authority at the top of a remodelled power structure. The actual constitutional change was of little import given the way Xi could have continued to rule the roost after 2023 even if he stepped down as head of state. But symbols matter and a message has been sent, not only inside China but also to the world. Xi means what he said at the Congress about putting China at the center of the global stage, and his indefinite purchase on the presidency forms part of that. But, for him, it needs to be backed by a unified Party-state which can make the most of what Beijing sees as the weakness of democratic capitalism. The rise, fall, and rise of the office of the presidency (国家主席) is itself an important development in the overall story of how China’s leadership fought to (imperfectly) normalize its political institutions and process of leadership succession since its founding in 1949. First established in 1954, the presidency was held by Mao Zedong until 1959, when it was assumed by Liu Shaoqi, who, until his purge at the start of the Cultural Revolution in 1966, was Mao’s presumed successor. For the next 16 years, the office remained vacant (and from 1975, non-existent). After wresting control over the Party leadership from Hua Guofeng in 1977-78, Deng Xiaoping quickly recognized that his plan of socialist modernization would run aground without a significant rebuilding and strengthening of the basic institutions of governance. The state Constitution revision in 1982 made significant symbolic and actual improvements to the functioning of the government. The office of the presidency was restored, and crucially for our story, a two-term limit was instituted. While the powers of that office were quite limited, setting a hard limit on its tenure was a key plank in Deng’s overall plan to end de facto lifetime tenure (终身制) for the revolutionary cadres, many of whom had resumed office after the death of Mao Zedong. There were two issues of importance here. The first was ensuring that China “revitalized” its cadre system by creating a clear and predictable pipeline up (and crucially, out of) the Party-state hierarchy. As Deng said in September 1982, “The problem of the aging of our cadres, if not critical, is at least very serious. If this problem is not solved, our government and our Party will have no vitality.” He put the matter more bluntly in 1987, “In general, old people tend to be conservative.” There was naked political calculation behind this, of course, and it was blatantly hypocritical for the octogenarian Deng Xiaoping to lead the crusade against “aging cadres,” but his point was nevertheless valid. In the four-plus decades since the death of Mao Zedong, the Party has made admirable, if unquestionably uneven, strides towards normalizing its succession politics. Now Xi appears to be reversing that process. Of course we can’t know what the future holds for China, but the recent history of protecting against the over-concentration of power looks increasingly to be fading into the distant past. The implications of Xi Jinping’s triumph in removing presidential term limits are, as noted repeatedly on this thread, momentous for China and for the rest of the world. It is also significant for a place that is “China” or “the rest of the world” depending on your perspective: Taiwan. In the eyes of Beijing, of course, Taiwan is but a renegade province. Xi made this perfectly clear during his address at the 19th Party Congress. As Richard C. Bush commented, “Xi Jinping displayed the greatest toughness when talking about the threat of Taiwan independence.” Xi vowed to defeat independence in any form. Tsai Ing-wen is too savvy to stand outside the Presidential Office Building in Taipei and declare establishment of The Republic of Taiwan. But even much subtler moves than such hard independence are raising Beijing’s ire. The Global Times railed against Tsai in October 2017 that she “has been challenging the 1992 Consensus and the political status quo of the One China policy, and pushing forward all types of ‘implicit’ and ‘cultural’ Taiwan independence since assuming office.” And cross-strait tensions have continued to ramp up since this was written last fall. With Xi bent on the rejuvenation of the Chinese nation, and now setting up a longer runway to achieve that end, Tsai’s (and her successors’) jobs are all the more fraught. Xi has not set a timetable for resolving the “Taiwan issue,” but officials in Taiwan are keenly aware of the 100th anniversary of the founding of the CCP in 2021 and the more distant 100th anniversary of the founding of the PRC in 2049. These dates do not necessarily have a talismanic quality, but they underscore the fear that bringing Taiwan back under Beijing’s rule is firmly on Xi’s “to do” list. Taiwan cannot counter this threat alone. There are signs that “the United States is cautiously starting to push back” to Beijing’s ratcheting up of pressure. This will be a delicate dance. No one I know in Taiwan wants to be at the top of the priority list for Beijing or the United States (at worst playing the so-called “Taiwan card”), as that probably would not end well for Taiwan. Nor do people here want to be ignored. This leaves Taiwan in a tricky position: how to be part of the conversation without becoming a point of crisis. China experts woke up Sunday to big news: among the constitutional changes approved at the Central Committee meeting last month was the removal of the two term limit for the Chinese presidency. This is one of the strongest possible signals that Xi intends to stay in power after his second term, potentially ending an era of limited rule by the Party secretary. What does this mean for Chinese governance? Some scholarship on authoritarian politics, like that of Milan Svolik, focuses on the use of party systems to promote authoritarian power-sharing. Beatriz Magaloni argues that the stability and duration of hegemonic party regimes like that of the PRI in Mexico benefit from regularized and orderly political succession. The logic is relatively straightforward: if any one faction or subgroup comes to power, there is always another chance next time. Not so when one leader rules indefinitely: in that case political factions often strive to make their own opportunities. Does personal rule mean a fragile, conflict-fraught Chinese polity? Not necessarily. China is not Mexico, nor is it Zimbabwe, which might have been characterized (until recently) as the archetypical personalist regime. Much of what we know about personalist autocracy comes from historical one-man-dictatorships. That often means post-independence regimes in the global South, mostly without strong ruling parties and with hobbled economies. Xi is in charge of arguably the most powerful and technologically enabled autocratic regime in history. So, Xi may come to personalistic rule in a very different position than revolutionary leaders in the 1960s did. That might mean that he’s able to deal more effectively with some problems other personalistic rulers struggle with, like what authoritarianism scholarship since Ronald Wintrobe's landmark work has called ‘the dictator's dilemma.’ With some violence to the original work, the dictator’s dilemma is the ‘shoot-the-messenger’ problem writ large: when there’s only one person who matters, nobody wants to deliver bad news. But dictators can’t do everything, so they rely on information being passed up the ladder to make decisions. The perverse incentives of a dictator’s agents can mean that the autocrat won’t learn about problems until they’re too late, or end up triggering uprisings with political repression. But with the pervasive, overlapping, and robust authoritarian tools that the Chinese government has built up across the last decade, I’m not sure that Xi will have the same trouble getting high-quality information that 20th century dictators struggled to find. Whence Chinese politics? China has had personalistic rule that shifted back to collective rule before—Xi Jinping’s long presidency doesn’t mean collective rule is over forever. It does mean, though, that we are in for very tense period in elite politics generally, and around the next political succession in particular. Xi broke more than a few political eggs to make his anti-corruption omelet. A lot of stability-preserving norms, like not prosecuting former Politburo Standing Committee members, are now gone. This means, as has been written above, that Xi is all in with no way back. Retirement isn’t safe for Xi—or for anyone else. Let’s stash all the comparison of Xi Jinping with Mao Zedong or Vladimir Putin for now. China is not descending into a second Cultural Revolution or plunging into Russia-style atrophy under a dictator. To the contrary, China under Xi will continue its ascendance, although with increasing exposure to the key-man risk. Xi now has an unobstructed path to indefinite rule and authority not only unrivaled in recent Chinese history, but also unchecked. But he is not engaging in a game of thrones just to eliminate rivals and amass personal privileges. He has a proven record of delivering on policy, a vision for the country’s future that enjoys popular support, and an intention to rule through institution building rather than personal fiat. Xi has presided over robust economic growth, neutralized political rivals, sustained a tough anti-corruption cleanse, reformed the military, subdued neighbors quarreling with China over maritime rights, and elevated China’s global stature. He is broadly popular among the Chinese public and has helped the Party recover legitimacy. In November, during the Party Congress, he pledged to shift the Party’s mission from delivering high-speed—but costly—economic growth to meeting the people’s demands for a “better life.” The new agenda encompasses a broad array of goals including better public services, stronger social welfare, cleaner environment, eradication of poverty, closing regional gaps in development, and rising global influence. He declared that by 2049, the centenary of the People’s Republic, his roadmap will lead China to become a “great modern socialist country” and “global leader.” His vision closely tracks the aspirations of China’s growing middle class and reflects a keen understanding of problems the country needs to fix. In short, Xi has primed the Chinese party-state for his agenda, which is to restore the Middle Kingdom to its historical grandeur and global greatness. But that means the Party and the country now rises and falls with Xi the person. Even though Xi has proven a largely popular and effective ruler, his unchecked power could turn him into a bad one. As he continues to amass power and demand absolute loyalty from Chinese leaders and officials, dissenting invites dire consequences. He is less likely to hear challenges and feedback even when his ideas are flawed and policies produce poor results. The absence of disagreements means he could become more insulated and prone to mistakes. Compounding the risk is the complexity of his “better life” agenda. It requires difficult tradeoffs, between economic growth and environmental protection for example and among social classes and regions with diverse and contradictory interests. Making such decisions requires more debate and consultation not less. By rewriting the constitution, Xi has entirely reversed China’s progress, as initiated by Deng Xiaoping and made over several decades, towards institutionalizing and regularizing succession politics. Future leaders are more likely to emerge from political bloodbaths rather than through excellence in governance, which is a problem that has dogged most other authoritarian states and of which China has been spared since the death of Mao, until now. Nonetheless, China’s ruling elite has made the choice of accepting the risks, which appear distant and hypothetical, in order to keep a proven leader in office for as long as possible. The sobriquet of the main character of the novel Water Margin, inspiration for the communist party, was “timely rain.” Since ancient times in China, a good politician has had to know when to rain and when not to. Too much rain or too little rain is just bad. Xi’s concentration of power is the same thing. In 1982, Deng introduced term limits to decentralize power, as Mao’s mistakes came from too much power in one man. Thirty-six years later, the issue is just the opposite: power was spread to thousands of centers and the big changes necessary became impossible to implement. Decentralization of power lead to economic development by turning officials into entrepreneurs. Corruption was the marginal cost. As years went by this marginal cost increased, undercutting all the advantages of decentralization. Thus, the party decided to recentralize. The central nerve of the issue is: economic reforms are a matter of life and death for China (and the pile up of public debt is a proof of it), and this concentration of power could be useful. We don’t know if, after this concentration, we shall see the economic reforms. And this could be for lack of determination from the center or still strong resistance from the “anti-reforms” periphery. Will these expected economic reforms or efforts to reform suffice without political reforms? Facing the possibility of risky political reform, would the center’s determination falter? Then what? Stalling? Withdrawal? We don’t have any answers, but Xi surprised us all, including those who chose him and thought he would be a puppet. But surprises are not necessarily pleasant or positive. Xi’s China is not isolated. Putin’s rule shows a new way of semi-tolerant despotism (he is no Stalin). In America, Trump said he was a model and many in the West think like him, feeling fed up by the cumbersome trappings of democracy. The European Union is de facto ruled by a small group of unelected technocrats. Many claim they are more effective than elected politicians. China is well within a trend of crisis among “traditional” democracies, and the former freedom of the Internet that concentrated power of information into a bunch of platforms underscores this trend. It would be crazy for democracies to follow Putin on his path— as he has more talent and experience as an autocrat. Democracies must address their crisis of efficiency or we are all in danger. The interesting thing about the change in the national constitution is less Xi’s revelation that he intends to stay in power beyond the two-term rule (which has been widely assumed), but that he stressed the importance of doing it by legal means (which will be less relevant in the case of the party which has norms rather than constitutional principles.) If there is to be rule by law, then it must apply to the most important offices of state, and it should be announced at the beginning of a new five -year term of the NPC not towards its end. The Chinese Communist Party’s proposal to erase from China’s Constitution term limits for presidents is not a surprise. Current President Xi Jinping, in power since 2013, effectively declined to anoint a successor as he began his second term, and has worked assiduously to consolidate power, indicating his intent to remain in power for the foreseeable future. The consequences of this stroke-of-a-pen change are potentially devastating for human rights in China, with significant repercussions abroad. Xi has proven especially hostile to independent civil society. Among his earliest targets: anti-corruption campaigners like the New Citizens Movement. Given Xi’s claim to prioritizing an end to graft, this move was ironic, but it made clear that independent voices would not be tolerated. Since Xi took power five years ago, Chinese authorities have aggressively and assiduously silenced human rights lawyers, women’s rights activists, labor rights activists, legal reformers, language rights advocates, and all manner of peaceful critics of the government. Many have been forcibly disappeared or arbitrarily detained. Beyond that, the state-controlled media have steadily smeared their work, trying to deter future generations of whistleblowers and others who seek to challenge state authorities. The late Nobel Peace Prize winner Liu Xiaobo once described the Internet as “god’s gift to China”—a tool that could allow people across the country to communicate with some degree of privacy and anonymity. But Xi’s government has also further tightened Internet control and imposed extraordinary mass surveillance systems across the country: second generation IDs, compulsory biodata gathering, facial and voice recognition, and big data systems known as “Police Clouds,” all used to integrate information about people to predict supposed threats to the government’s stability. It is increasingly difficult to perform mundane tasks anonymously, from buying a train ticket to getting a broadband connection, let alone engaging in activity critical of the government. Another great hope of the 1990s and 2000s: modest legal reform that allowed some room for checks on state power. Again, Xi had other plans: a slew of laws giving the state vague but vast authority, while also strengthening a powerful and unaccountable Party body, the Supervision Commission. That body is now being absorbed into the government, but will sit outside the judicial system. At the same time, there have been no significant advances made on critical legal reforms, such as reducing torture. These developments obviously have terrible consequences inside China—no effective checks on extraordinary power, leaving more people vulnerable to abuses. But Xi has demonstrated that his aspirations aren’t limited by China’s borders: he has sought to remake key international institutions, such as United Nations human rights bodies, or simply make institutions do China’s bidding even if contrary to their mandate; for instance, China has used the international law enforcement agency Interpol to harass Chinese dissidents living abroad. Beijing is taking its much-vaunted—yet often deeply abusive—approach to economic development global through initiatives like “One Belt, One Road”; few countries lining up to join appear concerned that the projects lack any community input. So the stakes couldn’t be higher. Governments concerned by the inroads that a permanent Xi presidency will make on human rights globally need to develop a plan of action in response: insist on established international human rights standards on global threats by China on issues ranging from academic freedom to economic development, and redouble their support to the promotion of human rights inside China. The clock has started.